Through R.O.A.R., Animal Planet works closely with the following animal and wildlife non-profit organizations to support their efforts by, promoting and encouraging public engagement, and providing financial aid through the R.O.A.R. Fund. Founded in 1984 by international artist and ambassador for wildlife David Shepherd CBE. The David Shepherd Wildlife Foundation (DSWF) is celebrating 30 years of wildlife conservation. We are an adaptable, flexible, non-bureaucratic organisation that responds promptly to conservation threats. Lean on administration but generous on funding, DSWF funds a range of innovative, vital and far-reaching projects throughout Africa and Asia. We support reputable individuals and organisations in the field, achieving real results for wildlife survival by: Sending undercover agents into the field to; investigate wildlife crime and to train and supply anti-poaching patrols; Establishing nature reserves and other protected areas; Working with governments to establish conservation laws and regulations; Educating wildlife consumers about the animals they 'use'; and Teaching young people about endangered wildlife through art and school projects. Earthwatch inspires connections between people and the environment. Our mission is to engage people worldwide in scientific field research and education to promote the understanding and action necessary for a sustainable environment. The EQUUS Foundation, a 501(c)(3) public charity established in 2002, also known as Horse Charities of America, is dedicated to ensuring the well-being of horses, fostering the horse-human bond, enabling the therapeutic use of horses, and educating the public about the horse's unique ability to power, teach and heal. Donations are tax-deductible to the full extent of the law. Contact the EQUUS Foundation, Inc., at 168 Long Lots Road, Westport, CT 06880, Tele: (203) 259-1550, E-Mail: equus@equusfoundation.org, Website: www.equusfoundation.org. Founded in 1977, the Jane Goodall Institute continues Dr. Goodall's pioneering research on chimpanzee behavior — research that transformed scientific perceptions of the relationship between humans and animals. Today, the Institute is a global leader in the effort to protect chimpanzees and their habitats. It also is widely recognized for establishing innovative community-centered conservation and development programs in Africa, and Jane Goodall's Roots & Shoots, the global environmental and humanitarian youth program, which has groups in more than 120 countries. For more information, please visitwww.janegoodall.org. National Wildlife Federation is America's largest conservation and education organization inspiring Americans to protect wildlife for our children's future. Founded in 1936, NWF represents more than 4 million members and supporters who are the voices for wildlife, and who share a common interest in protecting our nation's wildlife heritage. The Petfinder Foundation helps homeless pets by saving lives through adoptions, helping shelters prepare for and recover from disaster and working to help make shelters across the country more sustainable. The Foundation provides direct funding as well as training/education and grants of equipment and supplies so that hundreds of thousands of homeless pets have happier lives and so that the thousands of shelter and rescue folks who work with them can better perform their jobs. Villalobos Rescue Center works ceaselessly to give pitbulls another chance in life. Each and every dog taken in gets spayed or neutered and is given any medical treatment necessary. We work patiently to reacclimatize fearful dogs to the loving care of a human, so that they may eventually be adopted. In some cases, these dogs have never had a kind word or touch, and it is a slow process. After determining temperaments and compatibility factors, we begin that long search for the perfect home. 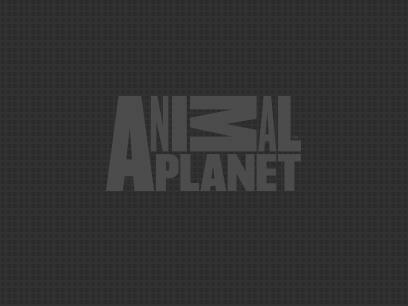 The following animal and wildlife organizations have long established relationships with Animal Planet's R.O.A.R. program. These partners continue to work with Animal Planet in a limited capacity; they receive support at a lesser level of association (than Principle partners) and are not supported financially. Organizations whose efforts Animal Planet applauds and through R.O.A.R. maintains open communication with these organizations for special or isolated opportunities."